What have the Theme from M*A*S*H, Downtown, Music to Watch Girls By, Crossroads theme, Messing About On The River and the theme from Emmerdale and Neighbours all got in common? (Do you see where I’m going with this?) 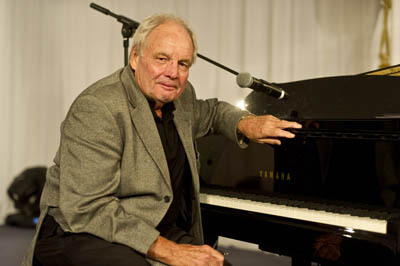 The lovely, quiet, unassuming Tony Hatch entertained the ASCAP award winners with a medley of a few songs he has written. Here’s a bigger list: Tony Hatch, Songs…. and I only manage a monthly blog post.